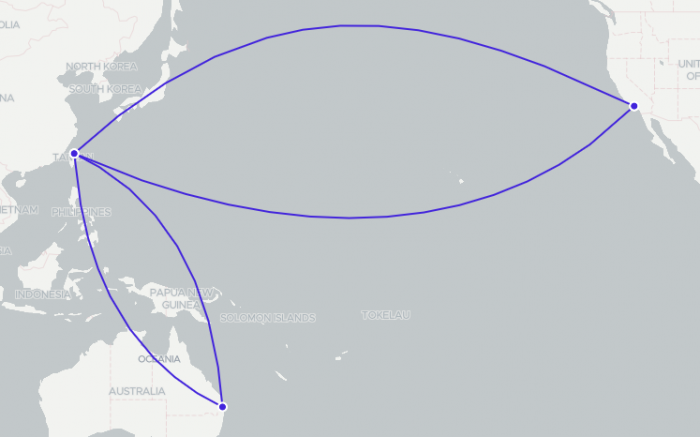 Today’s Airfare of the Day goes to EVA Airways and their basic season midweek advance purchase 2nd level premium economy class round trip fares between Los Angeles and Brisbane. 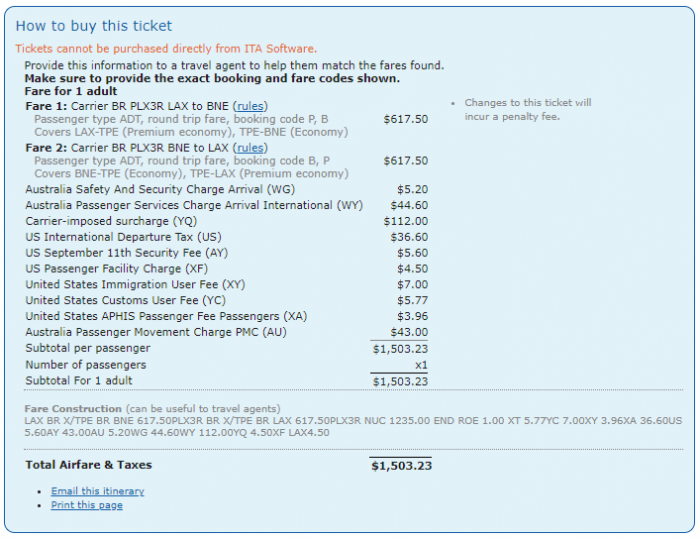 Price: from $1,454 ($1,235 base fare + taxes & surcharges). Flight restrictions: transpacific travel must be on any BR flight operated by BR/UA. Advanced reservation/Ticketing restrictions: reservations are required for all sectors. Ticketing must be completed at least 30 days before departure. Stopovers: 2 stopovers permitted – 1 in each direction. Travel restrictions: valid for travel commencing on/after 01JAN 19 and ob/before 15MAY 19. Sales restrictions: Tickets must be issued on/after 10SEP 18. Cancellations: charge $150.00 for cancel/refund. The following accruals were estimated using wheretocredit calculator for LAX-TPE-BNE round trip travel on BR marketed and operated flights without considering any elite status bonuses or ongoing promotions.